Notley says she has purposely kept away from electioneering. CALGARY — Alberta Premier Rachel Notley says it's no secret she is voting for her federal NDP counterpart in Monday's federal election, but adds she has purposely kept a "light touch'' and stayed away from electioneering. Notley says she still thinks Tom Mulcair is the best choice for prime minister, although she would be happy to work with any of the three major leaders. Notley is to be host to Mulcair at a rally in Edmonton on Friday. The NDP premier has been on the receiving end of a few shots from Conservative Leader Stephen Harper during the election, but for the most part has turned the other cheek. 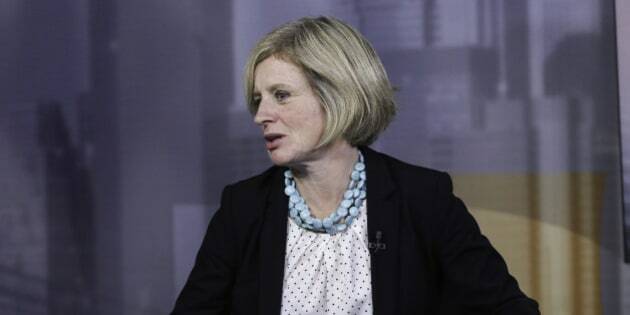 The premier says Alberta will need to have a good relationship with the federal government — no matter who wins — especially in light of a financial downturn the province faces due to low oil prices. Notley also points out that it would be unwise to prejudge the outcome before the votes are all counted on Monday.